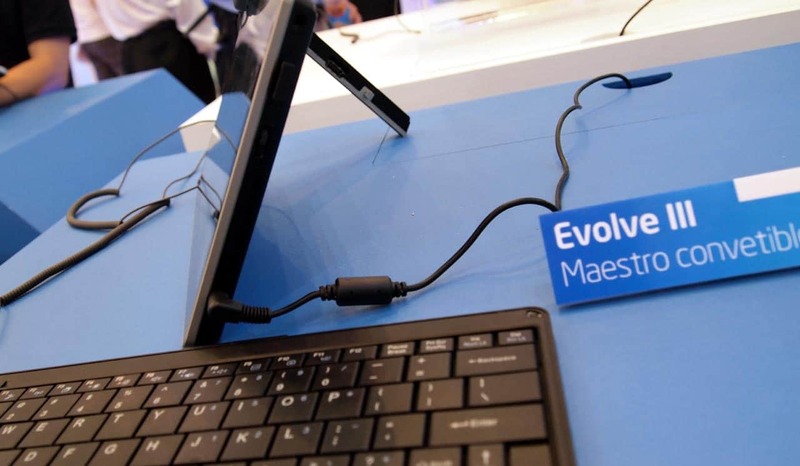 Tablets have become quite the hot commodity in the last year or two, so it’s becoming increasingly difficult for companies to differentiate their products from the competition. 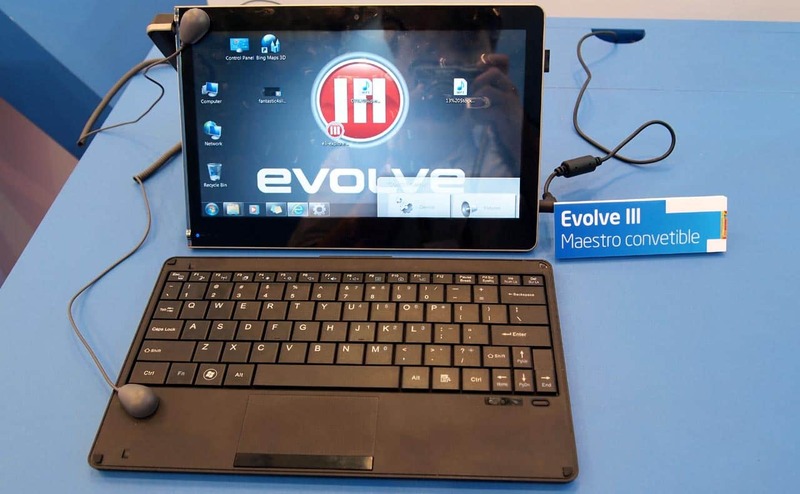 I think Evolve III (Evolve Three) might have accomplished that with the Maestro-C Convertible. Being shown off at the Intel booth at Computex, this 10.1-inch tablet runs on an Intel Z670 Oak Trail processor (1.5GHz). What makes it interesting is that it is a triple boot device. Want Windows 7 Home Premium? You got it. You can also load Android and Maemo (MeeGo). Battery life varies between the three operating systems with Windows 7 at the low end (10+ hours) and MeeGo at the high end (18 hours). And then there’s that clever kickstand portion that flips out on the side. Stand it up and watch a video or surf the web. 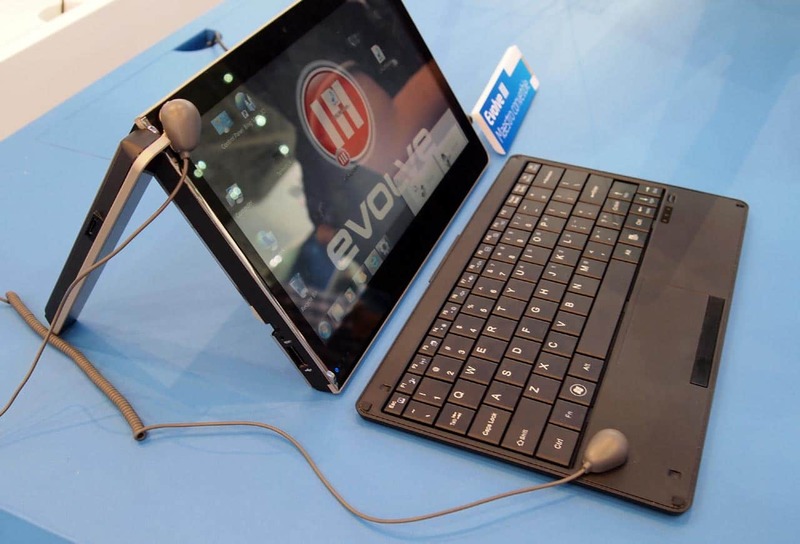 Not unlike the Asus Eee Pad Transformer, you can get an optional keyboard here too, except it’s a detachable magnetic USB RF keyboard. Other key specs include the 2GB of DDR2 RAM, 32GB SSD (64GB option), a couple of USB 2.0 ports, 1.3MP front camera, HDMI, Bluetooth, and 802.11b/g/n Wi-Fi. With the keyboard, you get almost a netbook-like experience. Without, you get the tablet. It’s really like the best of both worlds, but the Maestro-C by Evolve III certainly isn’t cheap with pricing starting at AU$825. As is the norm with tablets these days, you can choose from WiFi-only or WiFi+3G.